DJI Phantom 5 : Rumours & Leaks | 7 Days Left Until Announcement ?! Slowly but surely, we are approaching another installment in DJI’s magnificent Phantom lineup of drones. They can be considered as the pinnacle on the drone market. As such, they demand serious attention as they will most likely set the stage for a whole new generation of drones this year. As the title suggests, in this article we are going to discuss about the speculated features of Phantom 5. Please note – none of this information isn’t official. Everything that you will have the chance to read down below are purely speculations and thoughts. As always, there is a huge community behind DJI’s masterpieces, so it is not surprising to see a whole lot of Phantom 5 rumors and leaks. With all that being said, let’s jump straight to business and see what exactly can we expect from the upcoming DJI Phantom 5! Let’s start off with the basics – release date! Even though there hasn’t been a single official announcement made by DJI, a ton of people seem to have solid insights on the exact release date. Some are even so sure that they are even setting up countdowns to the date, leading me to believe it’s mostly likely true. As you can see, the speculated DJI Phantom release date is 15th of April 2017. Whether this will turn out to be true or not, we’ll see. Hopefully, DJI will have a formal announcement in the next couple of days that will either confirm or refuted. Camera is always an important factor, not just for Phantom drones, but for all other ones on the market. 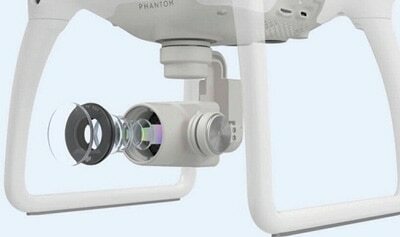 Even more so if they are marketed as aerial photography platforms, and we know that DJI’s Phantom series are. So, what are the camera speculations? Well, many people will agree with me that the current camera on Phantom 4 Pro is more than good enough. It records in crystal clear 4K resolution at solid 30fps. For people who don’t need 4K, they enjoy slow motion footage in FHD with silk smooth movements no matter the flight speed. Still, there are people who claim the camera is getting a noteworthy upgrade. Early comments suggest it will be 20MP, 1-inch sensor mounted on a brand new 360 gimbal. Even though the current camera and gimbal combination are state of the art, these upgrades are more than welcome… unless they massively increase the MSRP number. Are there any new features on DJI Phantom 5? In terms of features, there were several rumors that circle around the internet lately. The most notable one is the all-new 360 Obstacle Sensing System (formerly known as collision avoidance). DJI already implemented it with their newest set of drones but will apparently further improve it for Phantom 5 needs. It will most likely include even more sensors and will feature and improved AI that will recognize possible collisions much quicker than any other drone on the market. In addition to that, Phantom 5 is also said to get a small boost to its maximum speed. The number 55mph appears often, leading us to believe P5 will stand a chance against some fully fledged racing drones out there. Another noteworthy feature upgrade is Auto Tracking technology. This is basically a revamp of the popular Follow Me function that allows users to capture beautiful aerial shots or videos without having to manually control P5’s course. Essentially, it will latch onto any desired object or person and follow it around autonomously while, of course, avoiding any potential air threats (read collisions). Specifications-wise, there has also been a plethora of rumors recently. A bunch of new ones seems to pop up every single day so we can’t know for sure how many (if any) of them are true. As I already mentioned above, supposedly it is getting a well-deserved boost in speed. We should see it clocking it at around 55mph in sports mode. Additionally, it is most likely going to keep the 7 kilometers of range like its P4 Pro predecessor. This is still way more than any other drone on the market so I really don’t see why would they need to upgrade it. Moving forward, DJI Phantom 5 could be getting a battery upgrade. While that’s also quite trivial, there are several rumors about the battery type. While most claim it is going to feature standard 1.2 LiPo battery pack… there are others who say DJI invested a lot of money into making their own spectacular battery that can last more than 33 minutes in the air. This is huge for people who love to explore their area without having to worry about battery levels. Still, whichever battery DJI has in store for the P5, I’m sure it will have at least 27 minutes of air time. Otherwise, I (and probably a huge number of potential buyers) will be really disappointed. As you can see, we are slowly running out of rumors to discuss. Luckily, there are still a few minor ones left to be mentioned. Starting off with the DJI companion app. People claim that not only will it receive a well-deserved overhaul but will also have additional features. One that stands out is related to FAA. You see, people claim the new DJI Go App will warn you if you accidentally (or intentionally, for those brave ones reading this) don’t follow their rules and regulations. Of course, this will most likely only work in the States while the rest of the world will be completely unaffected by it. Are you familiar with that sharp “drilling” sound you hear every time you turn on your DJI drone? Well, apparently that is going to be a thing of the past since DJI Phantom 5 will allegedly have much lower start up noise. 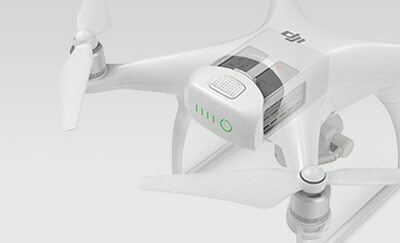 In addition to being quieter, DJI P5 will also be much faster at startup than any of its predecessors. 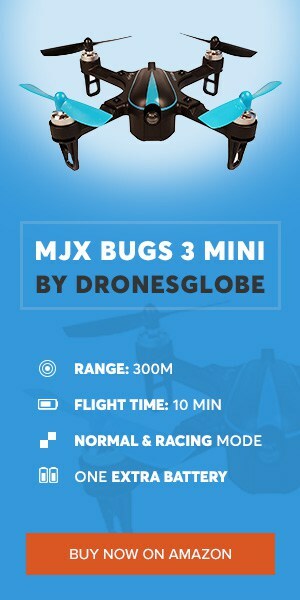 JJRC H25G is one of the most promising low-budget drones in 2016.